Learning is a continuous process that has become part of our daily lives. Whether it’s intentional or accidental, we learn always. Be you an amateur with no experience or a veteran rider who has been riding for over 30 years, there is no limit to what you can learn about your motorcycle. Riding through residential areas is quite different from riding in the city. As the name implies, residential areas are congested with people and houses. The roads are characterized by their small size and sometimes heavy traffic. Your experience and knowledge of riding in the city may not be applicable in such areas. It is important that you follow these helpful tips if you want to ensure safe riding through residential areas. The first thing is to prepare yourself and your bike for the trip. Preparing yourself requires you to be mentally and physically ready. It is important that you focus your mind on the journey and place everything else aside. Your motorcycle has to be in top condition. You don’t want your trip to be hampered by faulty machine parts. Safe riding is the best riding tip for bike owners. It is better late than to end up in the hospital. Riding through residential areas require patience and discipline. No matter how late you are for an appointment, make sure the word “safety first” constantly ring inside your ear. Slow down, avoid loud noises, and never drag the road with other road users. Irrespective of your age and experience, there is something common to both beginners and experts; it’s called “common sense”. Without this, you can do the stupidest things on a motorcycle. Using common sense will teach you when to stop and start when to maneuver, when to change lanes and how to observe traffic rules. This is the most common motorcycle tip and one that is easily ignored over and over again. Motorcycle gear is very important for all motorcycle riders. Helmet, goggles, leather jackets and boots are accessories that can save lives when riding. For instance, when you fall off a bike your head or skull can easily sustain injuries. If you are using a helmet you can prevent serious injuries and if not, you may lose too much blood in the process. Wearing a leather jacket and a boot is also beneficial, as it can also protect your body from bruises and even keep you warm during the cold season. Adding a pair of glasses is a great way to prevent dust, debris, and bugs from hitting your face. When you’re going for a long ride, make sure that you stop and take frequent breaks. Don’t allow yourself to get exhausted before you relax; your hands, eyes, feet, and entire body will probably wear off when you go through hundreds of miles without taking a break. A good practice when you take breaks or have arrived at your destination is to park safely. When parking, make sure you lock your two wheels with safety locks. Also, make sure you leave attractive things on your bike, as they may notify thieves. 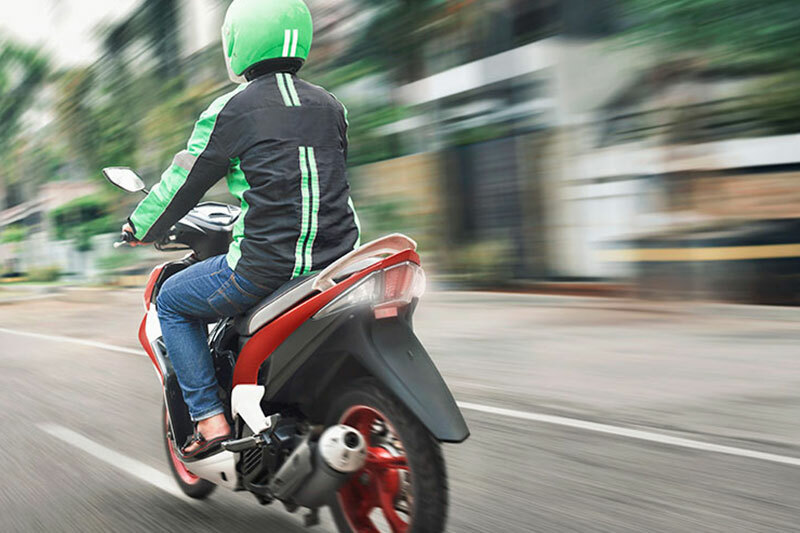 With these tips, you are sure to prevent accidents and road rash when riding through residential areas.